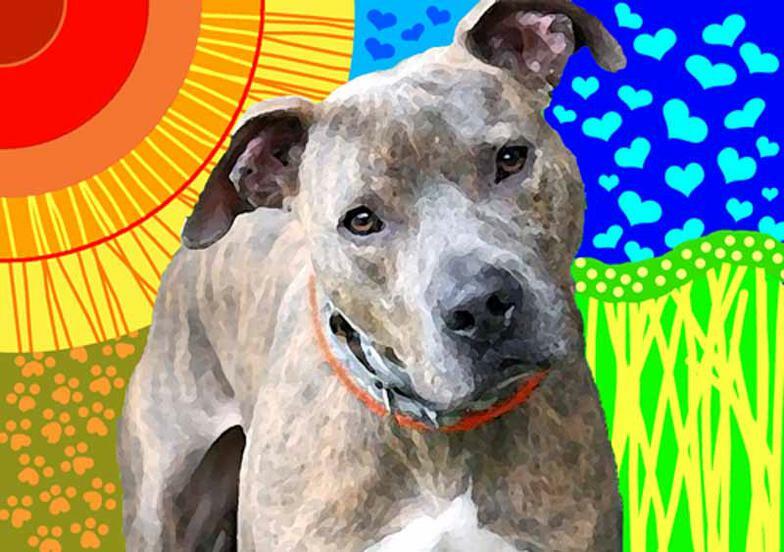 CUSTOM PET PORTRAITS of your pet's photo! © Copyright 2015 - 2017 Pop Art My Pet / LilyFrançoiseH - all Rights Reserved. Is there a Pet Portrait commission agreement? Yes, there is an agreement which you will need to sign and return to me. It will be provided to you once you commission me to make a portrait of your pet; please return a signed copy to me and include the initial deposit of 50% of the total price. 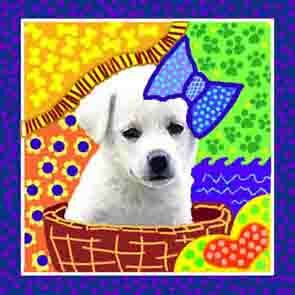 How are the pet portraits created? 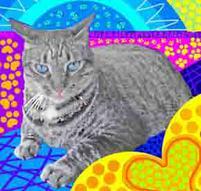 I use the photo of your pet as the basis for the artwork and create the pop-art background scenes with handmade sketches and color studies which I afterward recreate on a computer using digital tools. The artwork is then finished directly on the computer and is subsequently transferred to either a fine art canvas or archival paper via museum quality Giclee Printing. All giclees on canvas are hand embellished. Fully hand-painted artwork painted directly on canvas is also possible. Please contact me for details and the pricing. 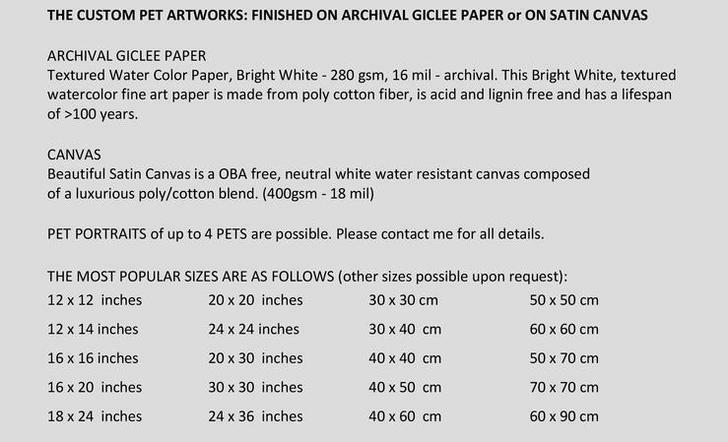 Giclee printing is used by major art museums for archiving entire collections. The giclee process involves spraying microscopic dots of ink using high-tech machines onto fine quality art canvas or paper. The combination of archival inks and fine artist canvas or paper yield stunning light fast vibrancy and longevity of approximately 100 years. What is the order procedure? Please contact me via my web page or email; or if you prefer you can call me. With the placement of the order, 50% of the total price of the artwork is due. Please be aware that this payment is non-refundable. The shipping costs will be added to your balance payment. on either archival paper or canvas. 2. You will need to send me a photo of your pet(s); please note that high-resolution pictures are required for larger artworks. 3 .You will need to return to me a copy of the signed agreement (which I will send to you per email). 4. You will need to submit 50% of the total price in the form of a money order, personal check or via Paypal. Please be aware that this deposit payment is non-refundable. 5. Should I have any questions about your order, I would contact you per email. 6. Your artwork will be finished for approval within 14 days; time at which I will sent you a digital proof. Any minor changes can, at this point, be made. After final approval, the artwork is ready to be shipped to you. 7. Balance due will need to be paid upon final approval. Once the complete payment is received, the artwork will be shipped to you. What if I need the artwork sooner? There is a $50.00 - $75.00 rush fee for artwork needed to be shipped sooner; please contact me for all details. 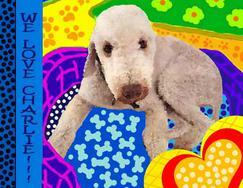 For all details please contact me at info@popartmypet.com or via the Contact-Us page. Yes, I do. Please contact me for pricing. Please be aware that custom fees may be charged at your local post office and these are solely your responsibility. For all other questions ans concerns please contact me at info@popartmypet.com or via the Contact-Us page.